Craps is quite possibly the most intimidating of all casino games, and players often steer clear of these tables as they suspect that the game is overly complicated. However, the basics of the game are actually quite simple and the only truly complex aspect of craps is the many different types of bets which can be placed. The good news is that you don’t have to learn all the different bets when you’re starting out and you can just stick to the simple bets at first. The objective of craps is surprisingly simple: simply bet on the outcome of the roll of two dice, and the goal is to correctly predict what combination of the two dice will be rolled. Unfortunately, craps is a complete game of chance and there is no way for players to influence a positive outcome, but there are many wagers to choose from. If you’re new to online casino games in general, be sure to read a few guides for finding the best online casino possible and make use of intelligent bankroll management. The trick to getting started with craps is alarmingly simple: simplify the game to its absolute basics, learn only what you have to know, and ignore the rest. In fact, you can play craps by familiarising yourself with just one bet: the Pass Line bet. However the best Australian betting sites will also offer in-depth guides for the full range of craps bets. 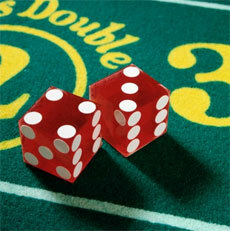 The rules of craps are the same whether you’re playing online or at a land-based casino. A warning though: the table will look incredibly confusing at first glance, but don’t get put off – we are here to help. Things are a lot simpler when playing craps online as there is no allocated shooter. Technically you are the shooter for every round. 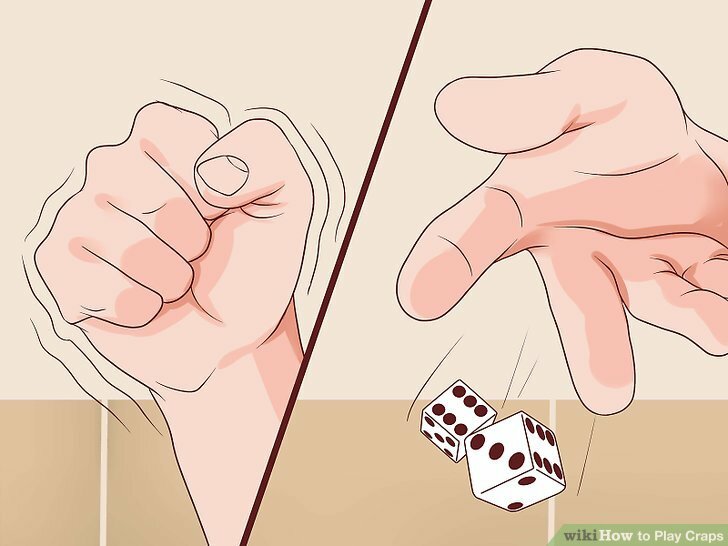 The dice are rolled automatically when you press the relevant button, and bets are placed in a similar fashion – by clicking on the appropriate button. Each round starts with what is known as the ‘come-out’ roll, and most casinos require that the shooter place a bet before making the roll on either the pass line or don’t pass line. If the combined value of the come out roll is 2, 3, or 12 the round will be declared over and those fortunate enough to have placed don’t pass bets will win the round, while those who opted for pass line bets will lose. If the combined value of the dice on the come-out roll is 7 or 11, the round is also over, but those who placed pass line bets will win and don’t pass bets will lose. If the total is anything other than the numbers already mentioned, then a point is established equal to the value rolled, and the round continues. The shooter will continue to roll while players bet on the outcome of each roll, until either a 7 or the established point is rolled. Following either a roll of 7 or the established point, the round is over and a new come-out roll is required. As you will see, there are many different bets in craps, but it isn’t necessary that you learn them all to get started. Previous Post » Mobile Casinos, Online Casino’s Smaller Sibling?